I am 40 years old and have a seven-year-old son. Five years ago, I took a life insurance policy of ₹ 1 crore. However, my financial conditions are not the same at present as I lost my job twice in the last two years. Now the premium amount is hurting my daily expenses and I may not be able to pay the premium. 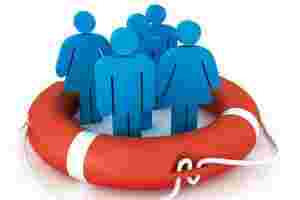 I know that life insurance policy is important and would not want to discontinue it. At this stage, I would like to have an insurance policy with a lower cover. Can this be worked out? I am 45 years old an have a term insurance plan of ₹ 80 lakh. I am a divorcee and the nominees to my life insurance policy are my children, two sons aged 5 and 9, and my ex-wife. I want to exclude my ex-wife from the policy and would like to continue to keep my children as the nominees. How can I ensure that after my death, my life insurance policy will provide for my children? A nominee is merely a custodian of the proceeds received from an insurance policy. The proceeds ultimately can only be given to the legal heir. If you haven’t prepared a legal will, it is advisable that you prepare one in which the proceeds of this insurance policy are given to your children. Meanwhile, you can change the nomination of the existing policy and exclude your ex-wife from the new list. Since your two children are minor, you will have to appoint an appointee who will be the custodian till your children achieve the legal maturity age.